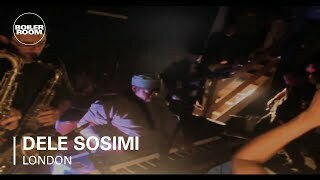 Dele Sosimi and his Afrobeat Orchestra are BACK! Returning to Gorilla as they continue their Manchester residency for a 10-piece orchestral blend of magical, infectious and seriously funky AFROBEAT ! Hosted by Community Manchester and warmed up perfectly by DJ Irfan Rainy. Get ready for the vibration from 11pm til 3am!